Dr. Kaski graduated from Michigan State University in 1988. 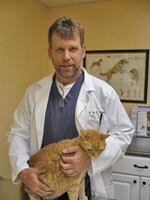 His first and only employment has been with the current Countryside Veterinary Center. Originally practicing as a mixed animal veterinarian, he has transitioned to almost exclusively small animal services, save the occasional goat, pig or guinea pig. Dr Kaski and his staff provide a wide variety of routine medical and surgical procedures as well as more advanced procedures. Dr. Kaski has an interest in surgical cases, especially orthopedic repairs, and challenging medical cases. As a family owned business, it is not unusual to see Dr. Kaski’s wife, Reid, or his sons Shane and Josh working at the clinic. 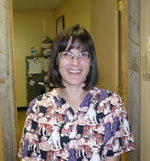 The staff at Countryside Veterinary Center has worked together for many years. 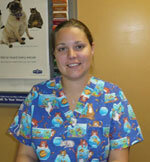 They are concerned and compassionate and very helpful to Dr. Kaski, as well as our pet owners and their special animals. Our core group of staff members has been together for ten plus years. They truly are a "team!"